Acmon (Aκμον in ancient Greek). 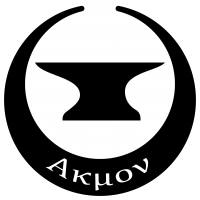 Associated with the anvil, in Greek mythology he was one of the three Dactyl Phrygians of Mount Ida who served the Great Mother and who discovered the art of forging steel with fire. In Virgil's Aeneid, Acmon son of Clitius, was one of the Aeneids, companions of Aeneas on his journey through Italy after the fall of Troy. Notes from Thamyris the Aoidos to the SSS Information Service: "Acmon is a true explosives and demolitions artist, an undisputed master, gifted with a special talent. And like all great artists, also gifted with quirks. In his case, quite a few of them. You know, everything around him has to be in its place, his equipment and yours, and he won't have any problem in moving it for you without prior permission. He always checks everything he does twice. He is constantly washing his hands, but never wears gloves; his fingers have to always touch everything so as to not lose any sensitivity. The truth is, you have to have a lot of patience with him. But he isn't so strange if you stop to think about it: this guy works with extremely powerful explosives where any mistake would blow him to smithereens. If I had to do what he does I'd also be obsessed with everything... well, that's just silly. I'd never do anything half as dangerous as he does." Acmon is currently the Homeridae's combat engineer. And as an engineer, he is perfectly capable of repairing anything he wants to. But the heroes of the Phalanx love him more for his demolition skills, an area in which he is a true master. Unfortunately, such talent also implies a degree of imbalance, manifested in his case through an obsessive compulsive disorder. His Homerid brothers suffer and respect his manias, however, because he is so good at what he does. 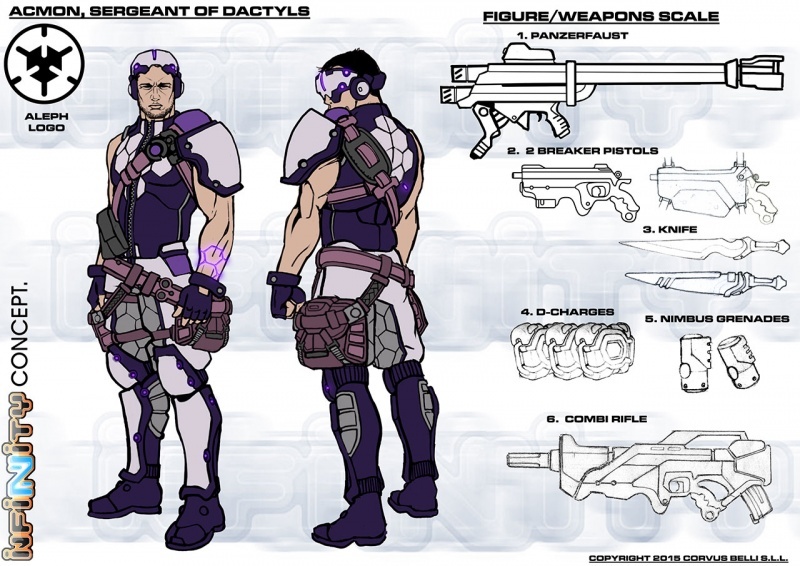 But woe onto those who don't, because they'll quickly discover that Acmon takes his obsessions very seriously, which is just what happened to Fusilier Angus who, during a joint mission, didn't want to give up his seat on the launch to Acmon, the seat that is third from the left. That is, until he found himself with a live D-Charge stuck to his chest!"